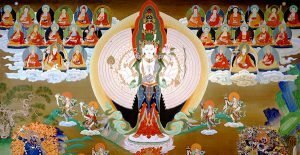 A challenging yet rewarding retreat on Chenrezig the compassion buddha. This purification method involves keeping physical discipline, meditation and prostrations, and silence and fasting on alternate days. It is especially useful for people whose schedules cannot accommodate long-term retreat. Bookings essential!